*This post is sponsored by Babblebox. All opinions expressed are my own. My kids love to help me cook in the kitchen. 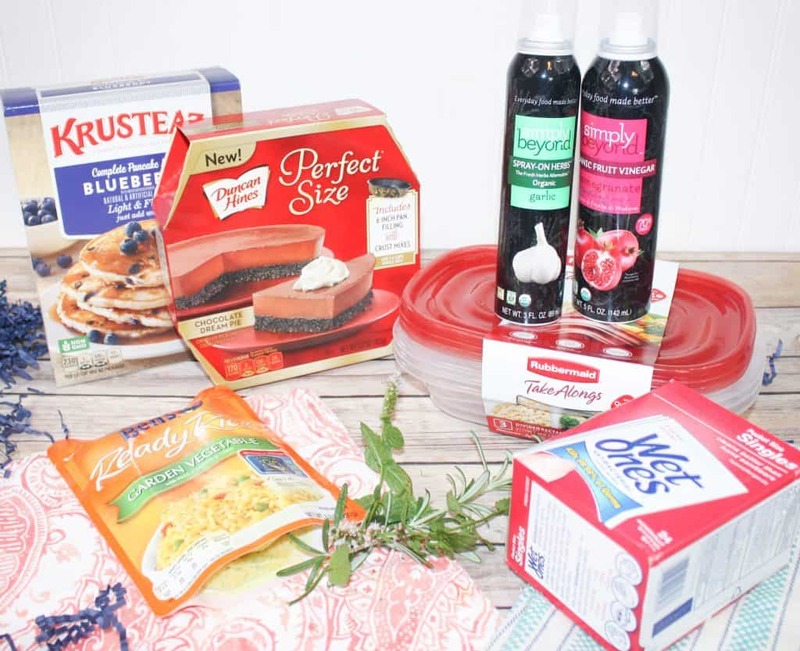 As a busy mom on-the-go, I need quick and easy meals for when they want to help. 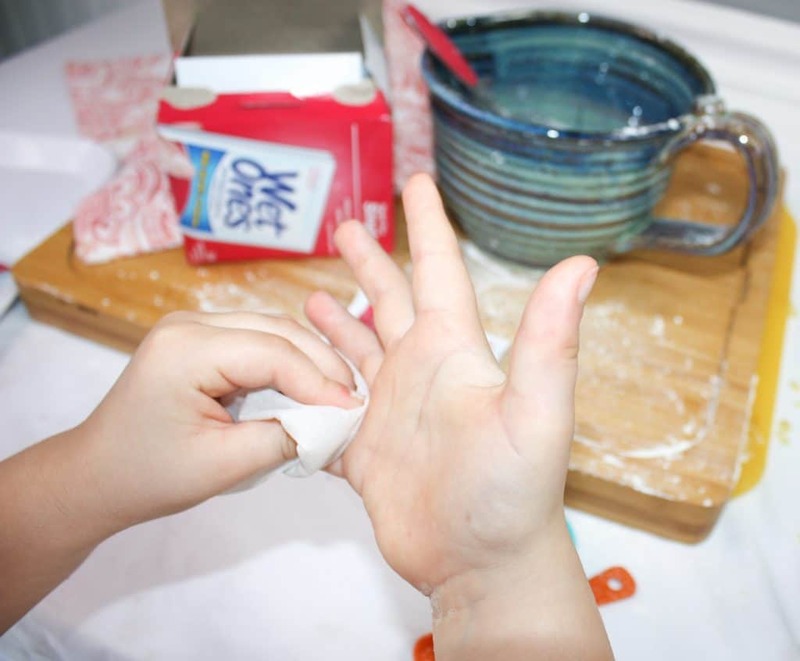 Simple dishes kids can help make include a lot of measuring, mixing, pouring etc. After all, cooking is a really excellent way to sneak some education into the kitchen! And, having products that make this process quick and easy with kids, it a must. 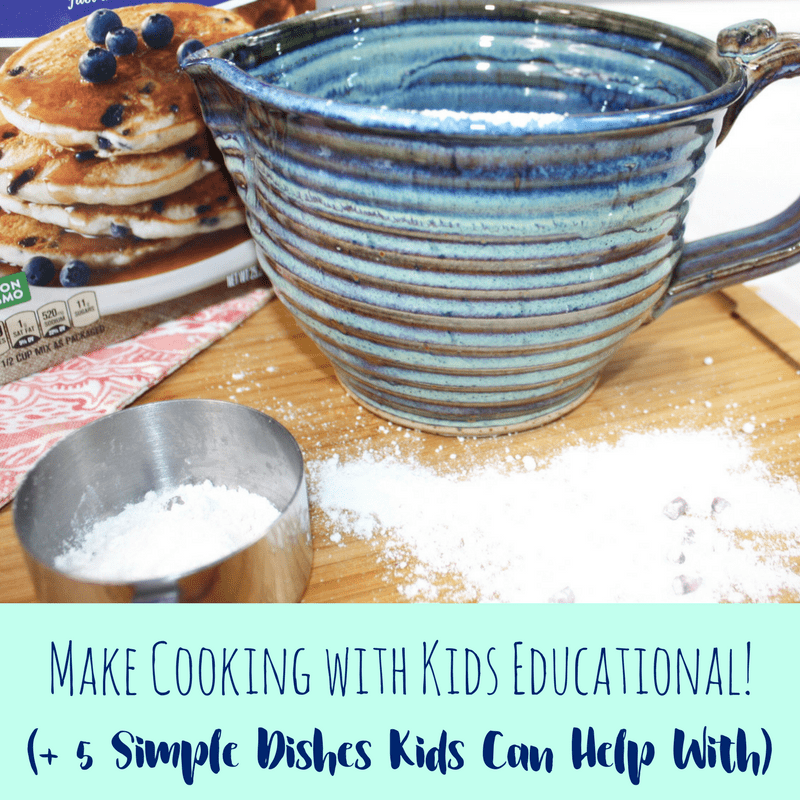 Here are some simple dishes that my kids love to help me make, along with products that help make the process quick, easy, and educational with my kids. 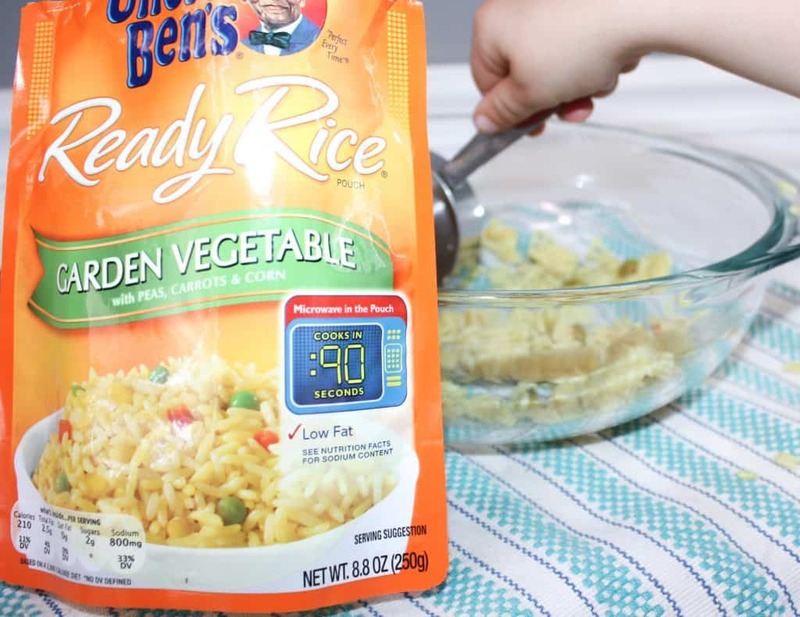 Here’s the trick to making spanish rice quick and easy, use an instant rice like Uncle Ben’s Ready Rice, it’s ready in 90 seconds, and using the microwave is a great way to sneak in some number practice for kids! If you cook the ground beef ahead of time, here is how kids can help. They can use the microwave to push buttons, pour the rice into a large bowl, pour the cooked ground beef into a large bowl, and add some tomato sauce. Place everything in a skillet to heat, and with adult supervision, kids can stir and mix! Saturday mornings are our favorite time to cook pancakes, but even Saturdays are busy and on-the-go for many families! 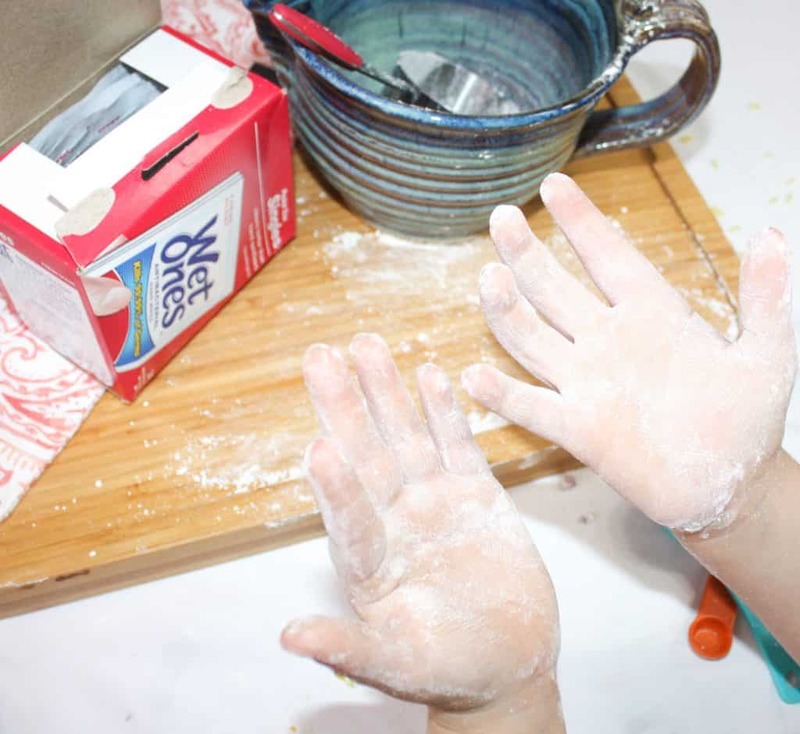 A pancake mix speeds up the process, and is fun for the kids to use. 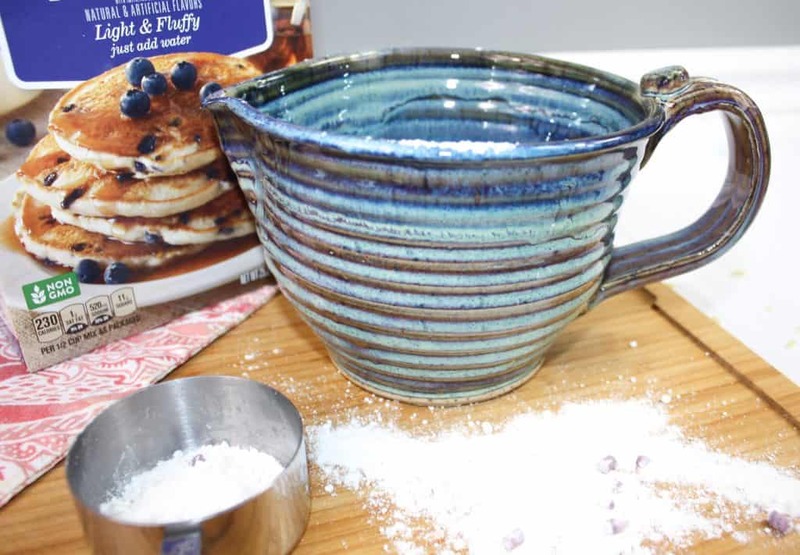 The Krusteaz blueberry pancake only requires the addition of water. Sneak some learning in by having your little one take a peek at the back of the box. The pictures are helpful to early readers, and they can determine how much water and mix they will need to measure. For older kids, my favorite trick for adding some education to cooking is to limit measuring cups. The forces a little math into the mix. For 6-7 pancakes, the directions call for 1 cup of mix and 2/3 cup of water, so I’ll give my 6 year old 1/2 and 1/3 measuring cups so that he can figure out how many of each we need. Of course, cooking can get messy, and I can’t always stop in the middle to get my kids to the sink, so we like to keep some Wet Ones on the counter. My 4 year old sensory seeker can’t help but touch and play in just about anything that spills on the counter! 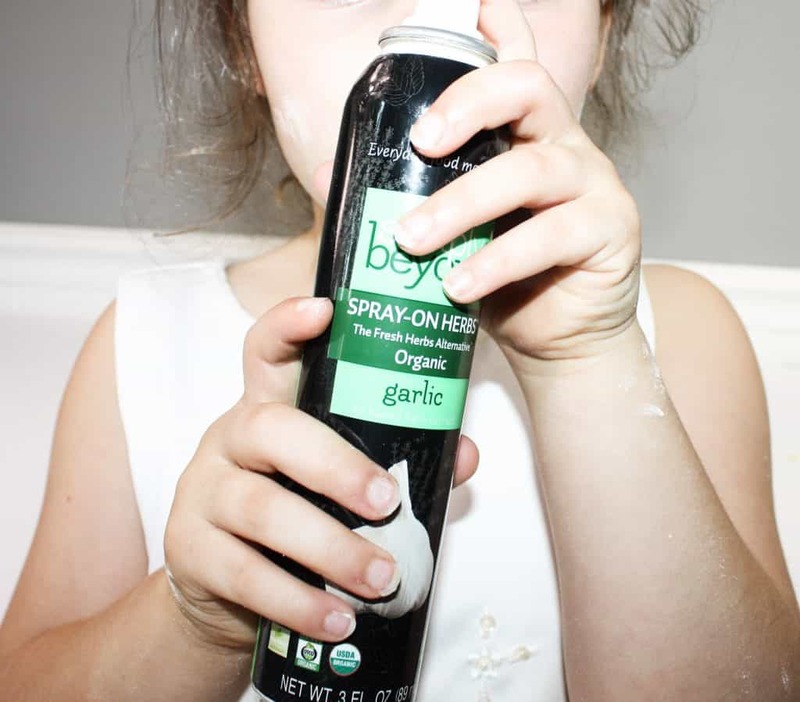 A quick wipe down helps keep us going, and they are easy on skin, even for the littlest hands. 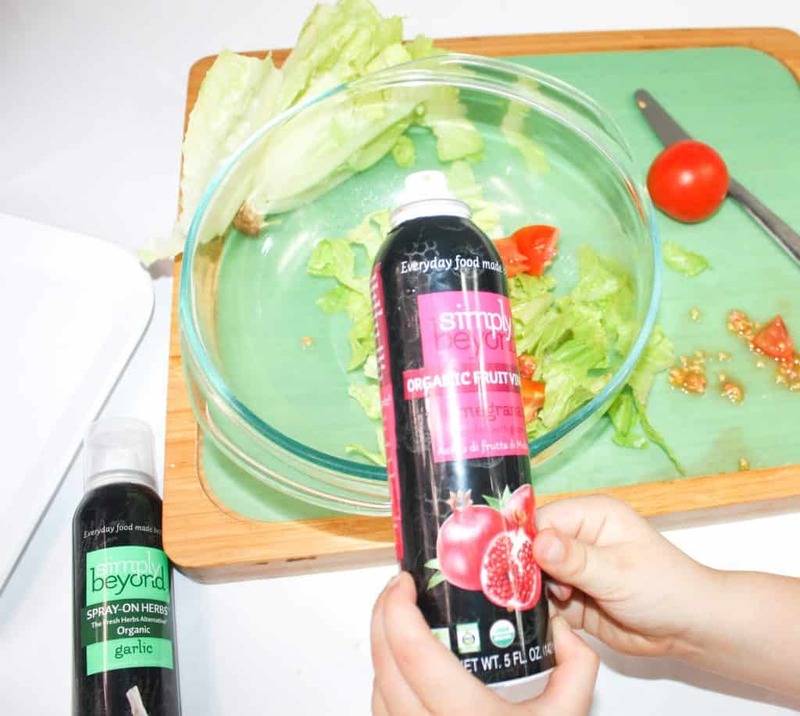 Salad is the perfect beginner dish for kids to make! 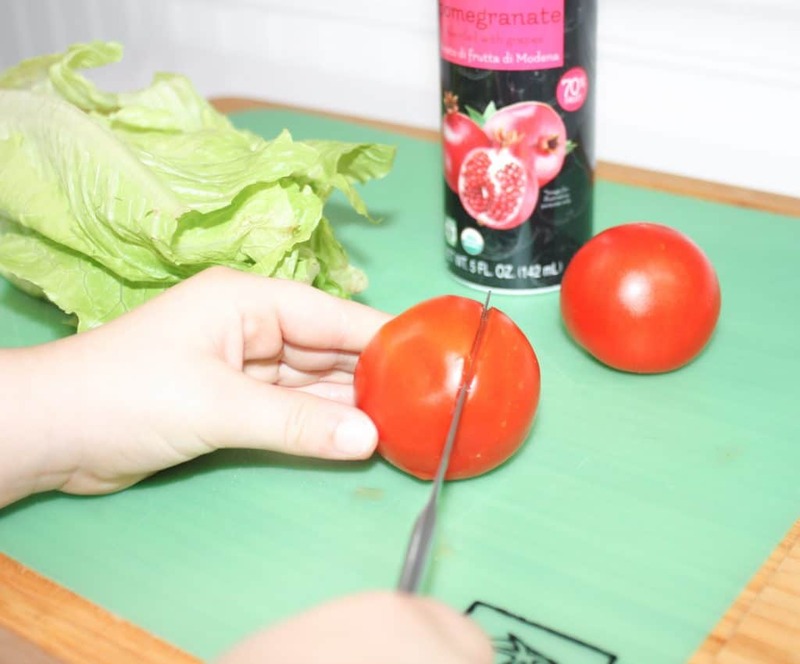 It’s no-cook, and gives kids tons of cutting practice, which is great for those fine motor skills. My kids cut at a very young age using kid-safe knives or butter knives and then graduating to a serrated knife as they get older. Kids also love to sprinkle cheese and other salad toppings on top of their creation. 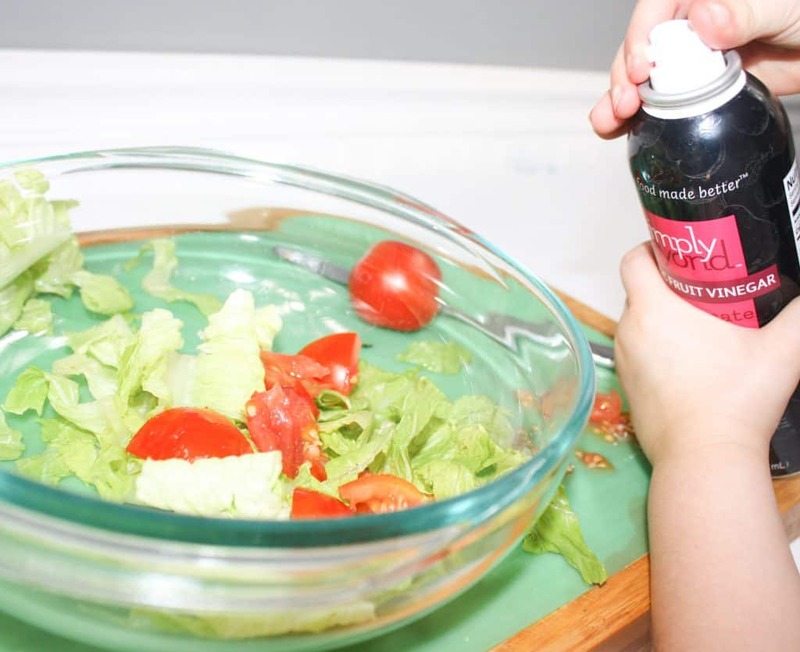 My kids’ new favorite salad addition is the Organic Fruit Vinegar from Simply Beyond. These are so versatile that they make for the perfect addition to a busy mom’s kitchen, but are an excellent alternative to traditional salad dressings which can pack a ton of calories and fat. Visit Simply Beyond Foods to see our full range of products and use code babblebox10 to receive 10% off on all orders through 11/30/2017. As we know, when kids help prepare their own food, they are more likely to explore tastes and to eat their meals. What a great way to get your little one to eat salad! I’ll be honest, dessert is my kids’ favorite thing to help with in the kitchen. And, cake has added benefits of providing tons of opportunity for measuring, stirring, learning about temperature and how to use a timer, but, as great as I can be about limiting their serving size, I lack self-control. 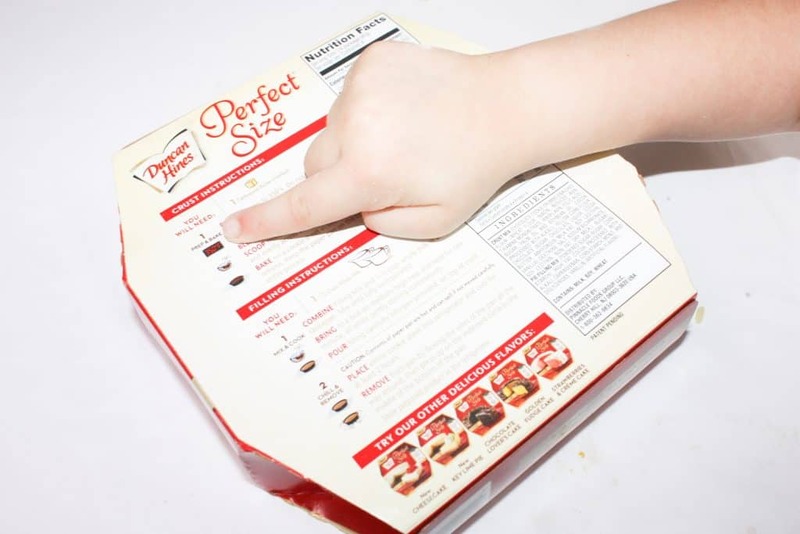 Bonus, the back of a cake box is great for kids to learn the process of reading a recipe! 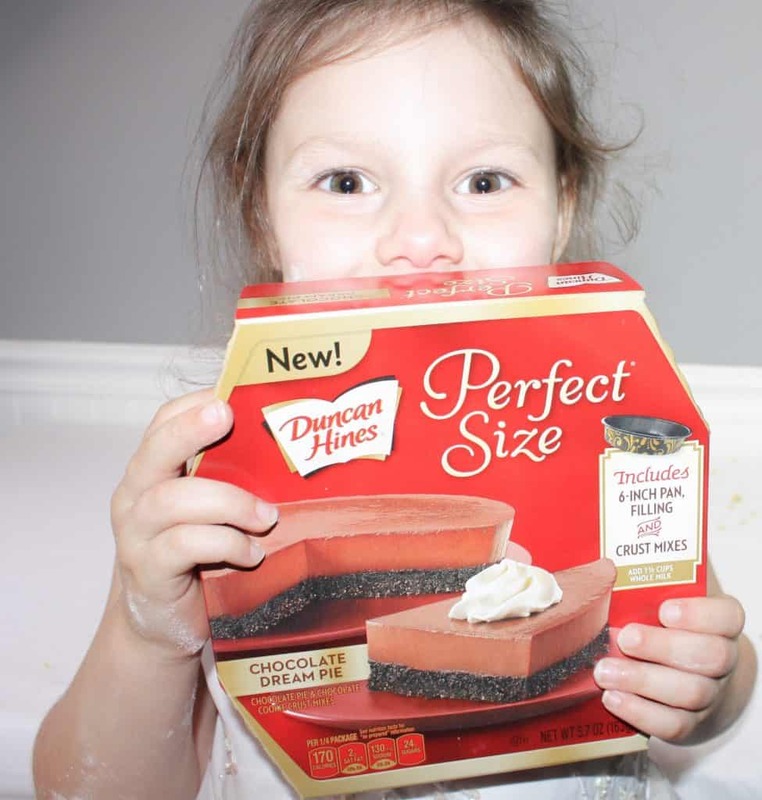 The new Duncan Hines perfect size desserts make this much more manageable for us. And chocolate dream pie…say no more. Every Fall andWinter, I start to stock up on beans and other canned goods. The crock pot is awesome for a busy mom who wants a quick to prep, homey meal on a cold day. 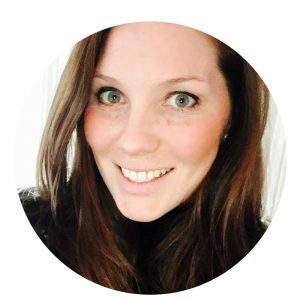 Here is how the kids can help and sneak in some learning. Have then count, open and dump cans, measure water, cut meat, and stir! Bonus, your house will smell SO good all day. Another great addition to the soup is Simply Beyond Organic Herbs, the garlic is perfect to add at the end, this way for those pickier kiddos, they can opt out of the garlic while others can enjoy it. 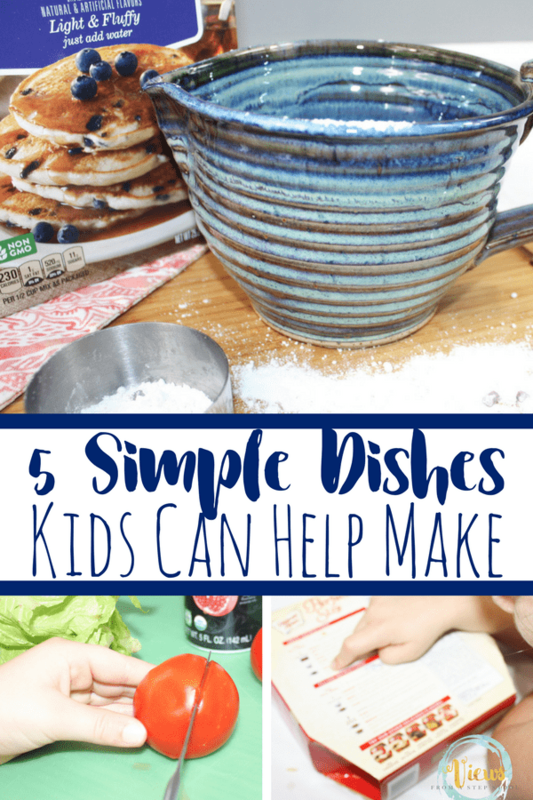 These are just 5 basic dishes kids can help make, but, you can see how by simplifying some recipes and ingredients, the kitchen becomes even more accessible (and educational!) and the busy mom can manage it all.